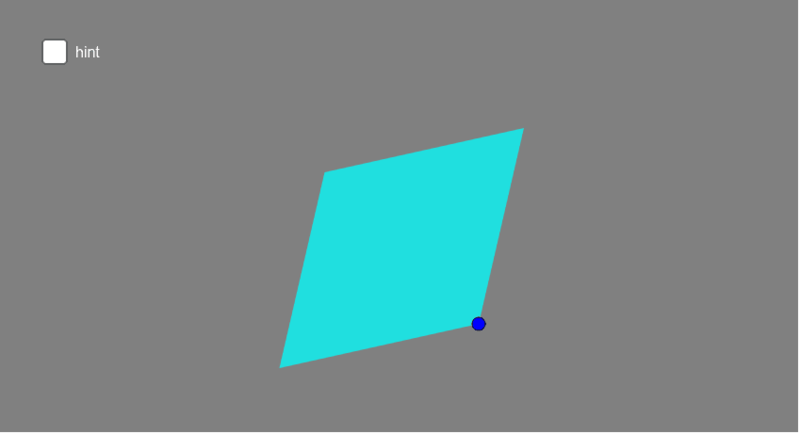 Can you make any shape parallelogram by dragging the dark blue dot? Why or why not? Can you prove your answer? What questions could/would you ask your students based on this applet?